Hear a little about the birth of my two children, how they have shaped the classes I run and how this will benefit you. My first born and I, on the labour ward at the Princess Royal University Hospital in Farnborough. 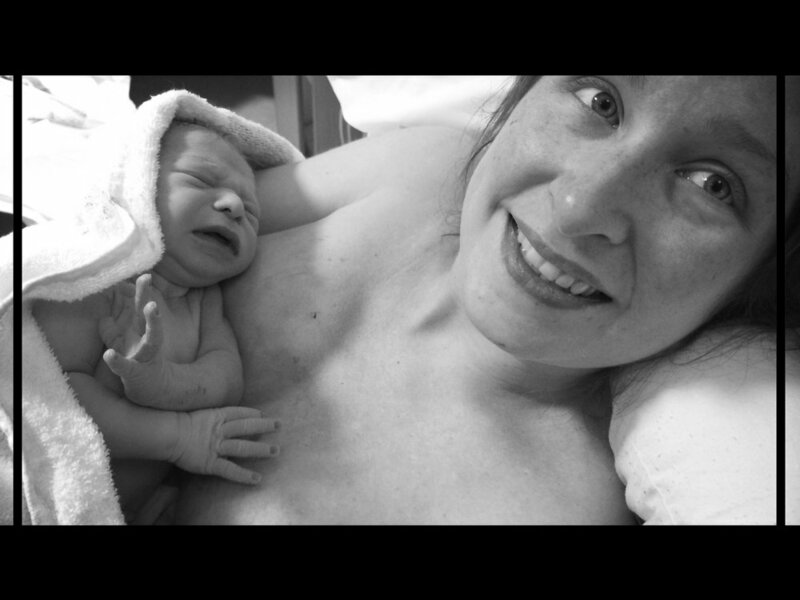 An induction, medium length labour and epidural before he was delivered. I'm still smiling! During both my pregnancies, there was a seemingly never ending list of questions being asked of me: Where did I want to give birth? Did I want pain relief? Did I want to use the birthing pool? How did I feel about medical intervention? The implications of the answers were not always as clear as I would have liked them to be. Through knowledge, information and the use of deep relaxation, positive affirmations, breathing techniques and visualisations (aka KG Hypnobirthing) you will release fear and learn to trust your body, your instincts, and your baby. Calm Mama offers an antenatal course that prepares you and your partner to have the birth you want. Whatever choices you may be faced with along the way, you will be informed and make the right choice for you and your baby. Wherever, whenever and however you give birth to your baby, you will both feel empowered and positive about the experience. So, Dads and other birth partners, where does that leave you in all of this? You have a HUGE role to play. You are your partners advocate, her protector, her birthing wingman. As the expert in you and your partner's birth choices, whether at home, in a birthing centre or a labour ward, your role is critical in enabling your partner to achieve the birth she wants. During the course you will learn the practical things you can do before and during labour to support your partner. If you want to chat, to get to know more about me or the courses I offer, register here. I'm also happy to Facetime or Skype, just let me know.